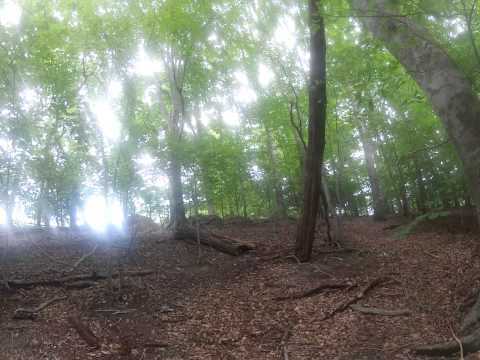 I decided to go herping and test out my new gopro camera one late afternoon during the final week of July 2012. I thought I’d serach for a copperhead in a pile of cut wood near the spot that had produced a nice specimen two months earlier. Check out the video of the unintended consequence from that search. Just a glimpse of Clifton’s common four legged ectothermic residents. 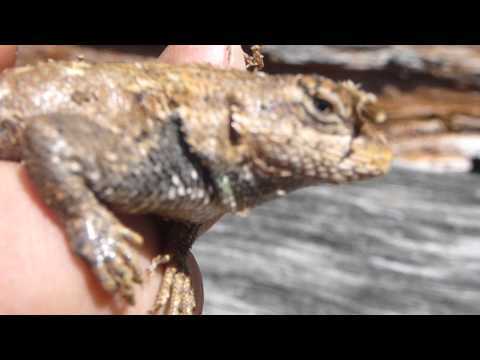 The Broadhead, Five lined, and the Eastern Fence Lizards. Not an uncommon snake by any means but certainly the largest one I have ever caught in the 8 acre park. This one was seen swimming just below and down stream of the park’s bridge. I carefull entered the water in front of the snake to avoid spooking her. When the snake had seen me it wasnt to much in a hurry to swim away but did so in a slow manner until it found a submerged rock to seek shelter under. I was able to gently grab it by the tail and at first the snake barely made a struggle. But as soon as I started to lift from the stream it began to turn around and bite. I carefuly lobbed her up onto the bank with my bare hands so that I could get a better look at her. I know from pevious encounteres that water snakes are not that coordinated to move on land as well as they are at swimming in te water. Once on land I started to approach the animal slowly and carefully. At this point she began to inflate her body the to strike repeatedly. 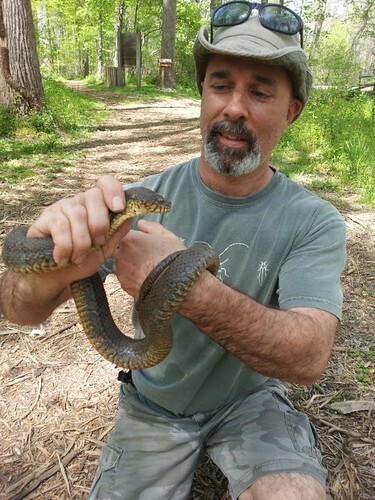 Northern water snakes are often mistaken to be cotton mouths or water moccaisons because of their demeaner and the fact that they swim in water. The opposite is rue. They are nonvenomous but wull bite repeatedly if you attempt to handle one. They are well adept at coralling and catching fish. Their recurved teeth allow them to hold onto their fish prey and I have on several occaisons seen them holding some very large fish with those teeth!! Went out tonight to visit the vernal pools near my house in Clifton. 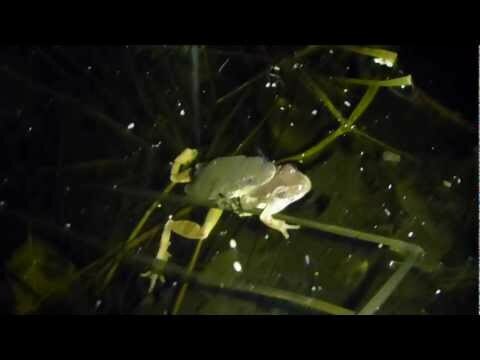 Above, although not the best quality video, are the voices of several species of male frogs all making their voices heard in order to attract a mate. 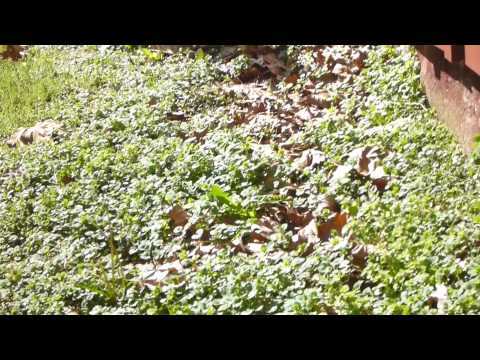 In this video you can hear the deafening sound of spring peeprers dominating all other frog calls. In a close second are American Toads, followed by an occaisional wood and green frog. 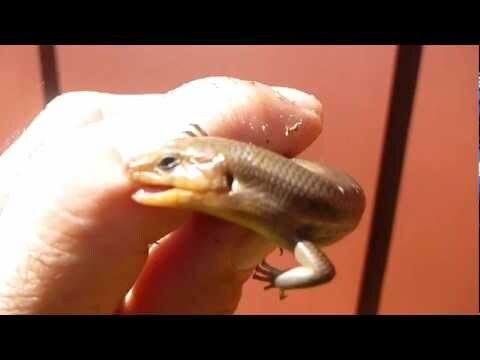 Also seen in this video are the different species mentioned above. 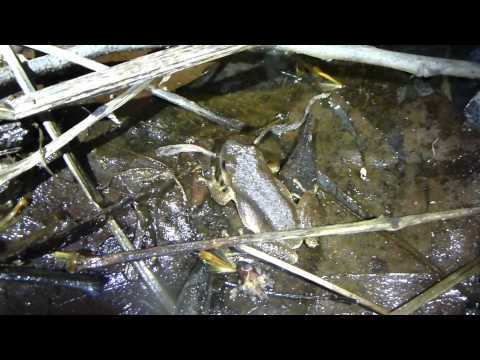 In one instance you can see a pair of spring peepers in amplexus. In another nearby pool I could see pickerel frogs a green and what might have been a bull frog but could not make a 100% positive id on the bull. I did howver catch a bull later tonight in a small branch just behind my hosue and saw several green frogs in some drainage ditches down the street along Chapel near the fire hall. Unfortunately areas where the pools and wet areas are near the roads are the signs of many frogs that were lured to their death as they lay in the roads perhaps attracted by the calls or for absorbing some of the heat from the black top. By mid morning tomorrow many of the fatalities will have been consumed by foxes and other mammals and by the numerous crows that inhabit our area. Below a Red Eft I found during my excursion today. 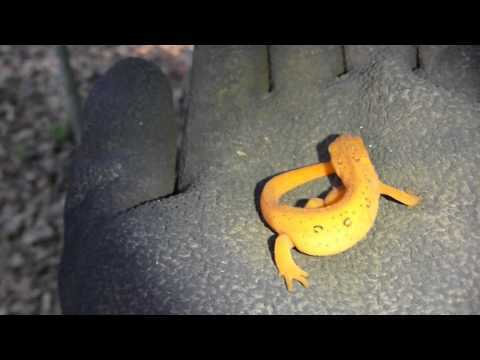 Red Efts are immature terrestial forms of the Red Spotted Newt which is aquatic. The eft stage is brightly colored and generally a “bad Taster” to potential predators. It is not uncommon to see these out in the open on the forest floor. Below Black Rat Snake found along an edge where meadow meets the forest. These snakes are our largest snakes in the area. They are nonvenomous but doo vibrate their tail and will bite if agitated. The snakes are excellent climbers and will feed on a variety of prey items such as birds, bird eggs, and small mammals. In this video you will see how the animal vibrates its tail to let me know it is prepared to defend itself. 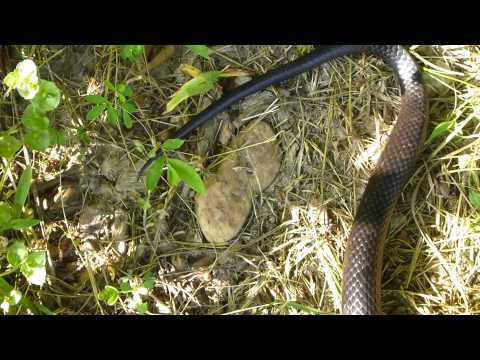 Many people claim they have seen a rattle snake when they encounter black rat snakes (in fact many nonvenomous snakes will vibrate their tails).